eled harvests in a greenhouse during the depths of the cold winter. The sort of climate being engaged will be the primary factor in helping cannabis cultivators decide how to construct, control, and cultivate a prospective winter greenhouse cultivation operation. Correspondingly, the colder a geographical location is, the less options there will be for growing a successful crop. Along this line of thought, for both cold and temperate climates in North America, hot frame greenhouses are the only option for wintertime cultivation. Hot frame greenhouses are generally permanent structures which can hold up to the intense demands of wintertime gardening. Because, they provide the platform and infrastructure for effective climate control. Greenhouse frames can be custom built by professional carpenters and builders. However, a majority of horticulturalists prefer the simplicity of greenhouse kits. In conjunction, wintertime gardening requires well insulated, thick greenhouse walls. Depending on one’s budget, these walls can be constructed with fiberglass, glass, Sollex, and polycarbonate. When cannabis cultivators are planning a wintertime greenhouse horticulture operation, it’s crucial to understand that controlling a constant temperature is extremely difficult. 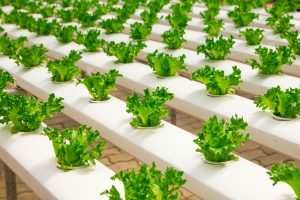 Again, the more money one is willing to spend on cultivation technology, the more effectively one can maintain an ideal atmospheric equilibrium. With a well-insulated greenhouse, wintertime cultivators have to balance climactic requirements with both heating methods and supplemental lighting. d, using heating mats beneath pots, and running hot water in tubing beneath pots. 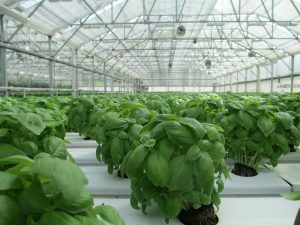 Finally, ambient temperature in a greenhouse can be controlled with a variety of methods which are dependent upon greenhouse size, outdoor climate, and budget. These begin with a simple electrical space heater for your novice operation. Moving up, cannabis growers utilize thermostat controlled, industrial propane heat sources for large scale operations. For cannabis cultivators interested in growing light-intensive crops in the midst of winter, supplemental lighting is a must. Generally speaking, DE HPS lights are utilized in wintertime greenhouse gardens to supplement sunlight on cloudy days. They also extend growth periods on short winter days. Supplemental greenhouse lighting has two serious implications for the wintertime gardener. To begin with, HPS DE lights emit a large amount of heat. As such, this heat must be balanced with the ambient temperature in the greenhouse during both day and night. Secondly, these lights are expensive to operate and should be utilized under consideration of a cost/benefit ratio. For growers in the Northern states, this ratio makes it obvious that it’s less practical to grow light-intensive plants in greenhouses than indoors during the winter. 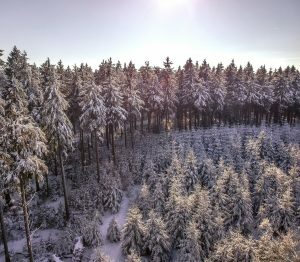 Is expensive automation a necessity in wintertime greenhouse cannabis cultivation? How do you deal with the extreme temperature fluctuations of greenhouse cannabis cultivation? How much do your supplemental lights really have to work? What are your estimates on power savings when compared to traditional indoor cannabis growing? This article originally appeared in the February 2017 edition of Maximum Yield Magazine.